This isn’t much of a post but I wanted to get something up to show everyone that we are continuing to do work on the house. This was a simple swap. 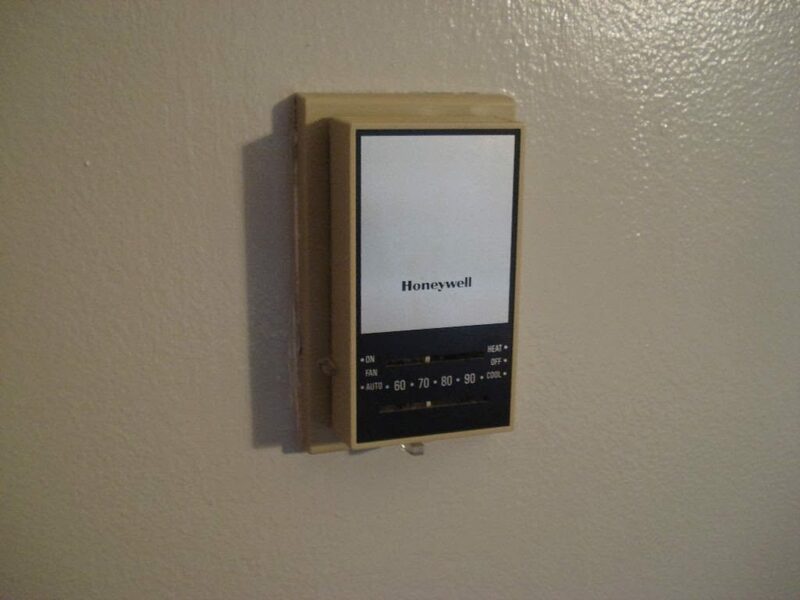 Removed the old thermostat and installed a new energy efficient model that allows us to schedule temp changes throughout the day (even though we have yet to do that). 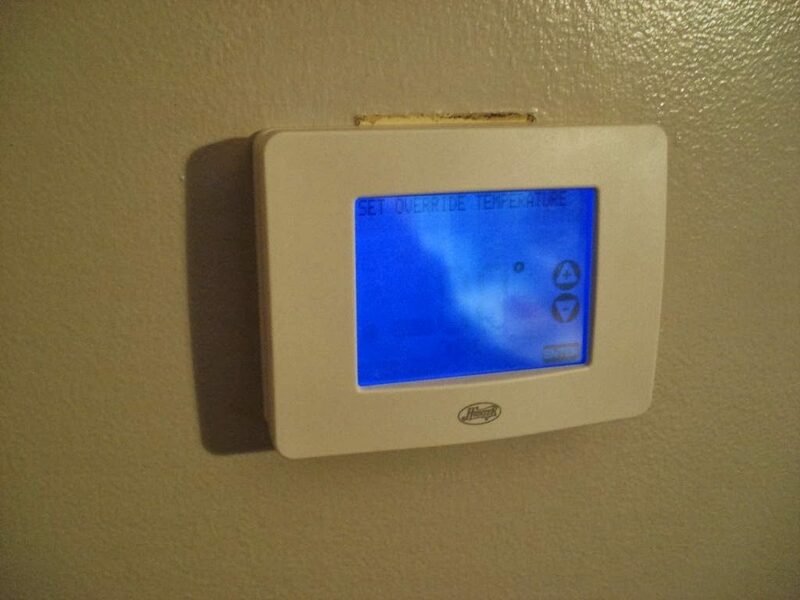 As you can see in the last picture, I need to repair the wall above the new thermostat to cover the spot where the old unit once was.